The Summer in Morzine is within our sights now and we are eagerly looking forward to all the fun in the sun the mountains have to offer. Whether you are into road biking, mountain biking, walking, climbing, swimming, boating or fun filled family activities with the kids, we have plenty of great value, quality accommodation in the centre of Morzine that will suit your needs. We have a great range of self-catering chalets and apartments and we provide service levels second to none, from first enquiry contact, to when our Transfer team drop you back at Geneva. Morzine offers a great range of activities in the summer, but also the chance to lay back and unwind in it’s beautiful surroundings. You can find out all our self-catering accommodation by clicking on the links here and above. If you like the flexibility of self-catering then Alptitude Morzine is the best way to enjoy your Summer activity holiday. 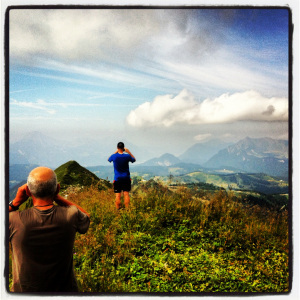 The MultiPass is a cost effective and excellent way to experience the vast array of outdoor activities here in the Portes Du Soleil – all for just 2 Euro per day! Alptitude have bought into this local scheme to provide you with heavily discounted outdoor activities during your stay with us at any one of our chalets or apartments this Summer. For 2 Euro per day, you can access any one of the 24 Chair Lifts to go hiking up high in the mountains, swim in the BRAND NEW INDOOR MORZINE POOL and also the refreshing outdoor Swimming Pool and lakes, play Tennis, go Ice Skating, use the Petit Train or visit a number of Cultural Sites for free. We think it is a great idea and represents great value, especially for families.